HomeLifestyleGOT Parks? We Sure Do! 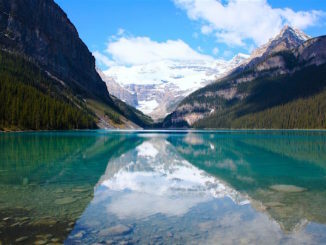 Canada is home to 44 national parks, 167 national historic sites, 4 marine conservation areas, and thousands of provincial and territorial parks that encompass more than one million square kilometres. Yet with all that space Canada’s youth are spending less time outdoors and, as a result, are not developing meaningful connections with the natural world. This troubling fact was what prompted a call to action. GOT (Get Out To) Parks is a non-profit venture and joint initiative between the Canadian Parks Council and the Child & Nature Alliance of Canada. 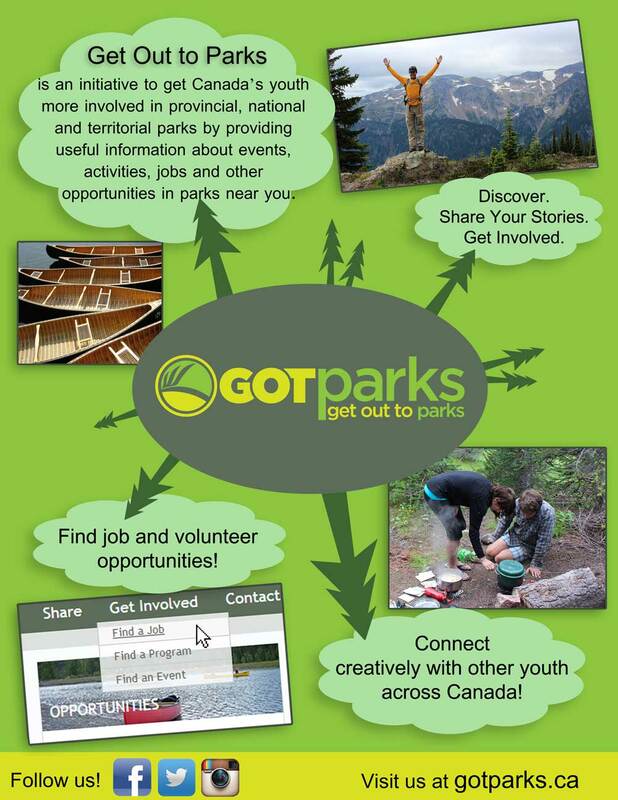 The fundamental goal of GOT Parks is to provide an online destination for young people to learn about Canada’s national, provincial, and territorial parks and to encourage Canadian youth to get outside and experience parks firsthand. 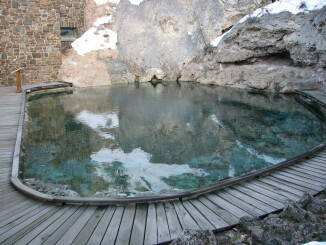 The idea for GOT Parks was first conceived in late 2011 after a report was prepared for the Canadian Parks Council. 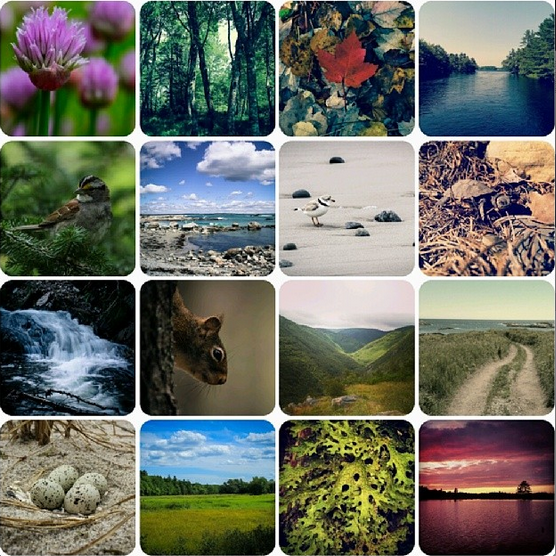 The report, titled Engaging Youth in Canada’s Parks, recommended “Park agencies should create and support a vibrant online space [for] youth to connect with other youth” so they can better connect with nature. Once the decision was made to create a website, GOT Parks was implemented through a series of phases. Phase one of the initiative began in December 2012 when the Child and Nature Alliance of Canada, the Natural Leaders Alliance of Canada, and Apathy is Boring agreed on a collaborative partnership that would fulfill the goals of the website project for the Canadian Parks Council. A Youth in Parks Advisory Group was formed, made-up of young people from across the country who were passionate about connecting youth with all the beautiful parks Canada has to offer. In June of 2013 the project moved into phase two, which included an online communications plan and a project evaluation. Also at this time Apathy is Boring handed-off the responsibilities of facilitating the advisory group and maintaining the website to the Natural Leaders Alliance. The third phase of the project began in January of 2014 with the hiring of a Social Media and Youth Engagement Coordinator, who was charged with assisting the advisory group and ensuring the GOT Parks community continued to grow. An application form was drafted to recruit new members and was circulated via social media. It was at this time that I became involved with the Youth in Parks Advisory Group, which is now known simply as the GOT Parks Team. As a team member I am responsible for developing website content, providing fresh ideas and feedback, contributing to the various social media platforms, and ensuring the site stays true to its intended audience. The response from Canadian youth has steadily been increasing. After the first year GOT Parks had some respectable numbers with 27 followers on Instagram, 29 on Twitter, and 213 likes on Facebook. In the following 12 months those numbers jumped considerably, featuring 223 Instagram followers, 332 followers on Twitter, and 1,028 Facebook likes. It’s also worth noting that those numbers continue to rise on a weekly basis. On top of all that, Facebook Insight reveals that the page has reach across the country and is effective at targeting the young adult age group. In terms of the website, Google Analytics shows total visits to the site as of January 1st, 2015 were just under 11,500, which is up considerably from the 944 visitors reported in the website’s first year of operation. Although GOT Parks isn’t in the business of taking youth on wilderness-based excursions, the various team members spend a great deal of time outdoors and enjoy sharing those experiences. 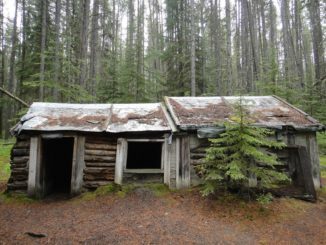 There’s a section of the website specifically dedicated to stories where anyone can post and share their wilderness adventures. 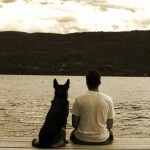 All that’s needed is a GOT Parks account, which is easy to obtain just by visiting the website and signing up. In addition to sharing your own stories, you’ll also be able to post photos and videos, create job and volunteer postings, cast your vote in upcoming contests, and learn about events and programs that are being offered in a park near you. GOT Parks is always on the lookout for new material, so if you have something that you feel would further promote the cause, please take the time to create an account and share that information. This past fall GOT Parks entered phase four, which featured a call for additional team members in the hope of having representation from each province and territory across Canada. Although that hasn’t happened yet, GOT Parks is continually looking to increase membership on the website and entice additional followers by providing exciting, current, and meaningful information through social media. 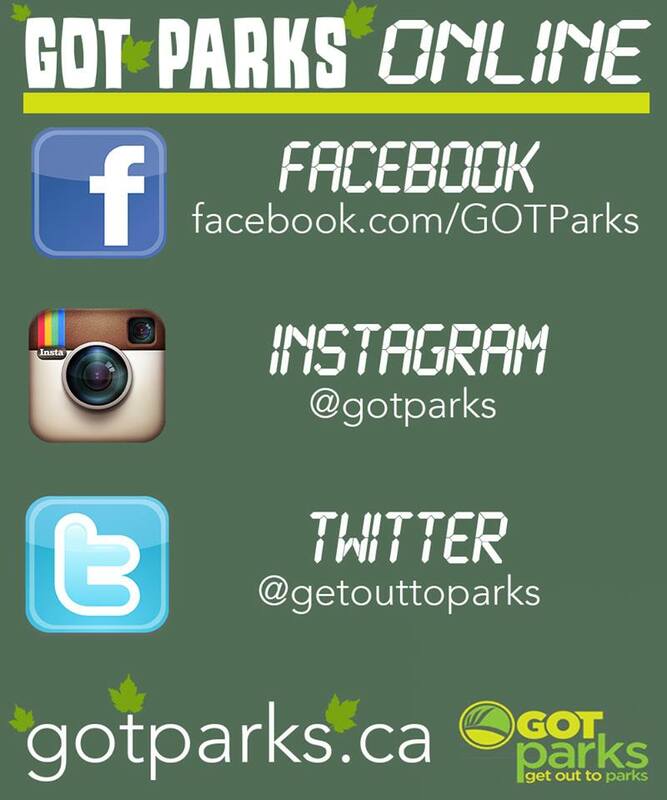 If you haven’t already done so please visit the website, ‘Like’ us on Facebook, and follow us on Instagram (@gotparks) and Twitter (@getouttoparks). Wild spaces that are void of young people highlight a fragmented relationship between parks and communities. Much like Grizzly Bears are seen as indicator species of a healthy, diversified ecosystem we see youth as an indicator species for parks in Canada. So Get Out To Parks, nature’s waiting!